Steve McCurley is an internationally-known trainer and speaker in the field of effective volunteer involvement. As of June 2012, he has retired from most of his professional commitments. He was a partner in VM Systems, a management consulting firm specializing in helping organizations improve their utilization of volunteers. He has served as a consultant on volunteer program development to the American Association of Retired Persons, the National Association of Partners in Education, the US Tennis Association, Special Olympics International, the National Park Service, the Points of Light Foundation and other groups. 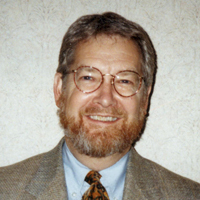 He was a member of the national board of Women in Community Service, the board of the Volunteer Center of Olympia, WA, and is on the Advisory Board for the Virtual Volunteering Project of the University of Texas. In collaboration with Susan Ellis, he was the co-founder of e-Volunteerism. Each year he gave workshops to over 10,000 participants from groups as diverse as the American Hospital Association, the Fraternal Congress of America, the Nature Conservancy, and Samsung, Inc. He is the author of 14 books and more than 120 articles on volunteer involvement, including the best-selling basic text, Volunteer Management. On the international front, McCurley has done work in Canada, England, the Caribbean, and South America. His writings have been translated into Spanish, Portuguese, Russian, Ukrainian, Rumanian, Hebrew, Chinese and Korean, among other languages. What a Long, Strange Trip It’s Been. . .